The SBA will once again have a stand at Beale Park Boat Show. If you intend bringing and operating a steam launch SBA Event rules will apply. Please contact the organiser, Richard Havard, as soon as possible if you intend to be present, with or without a boat. Contact details in members section on website or in the Funnel. 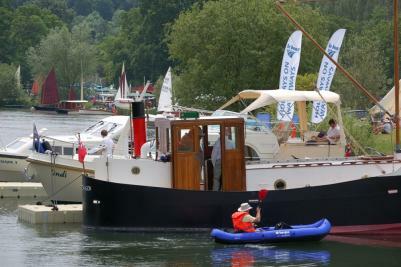 It is expected we will have boats in steam on the lake and available for the public to inspect on the pontoons. We will also have an SBA stand, displaying the activities of the SBA, togther with hardware on display. If you have engines or boilers that you would like to display please arrange this with the organiser in advance. Members who are prepared to engage with the public on the stand are most welcome. Camping on site is available but needs to be booked in advance through the organiser. If you intend to steam on the River you will require a Thames licence!